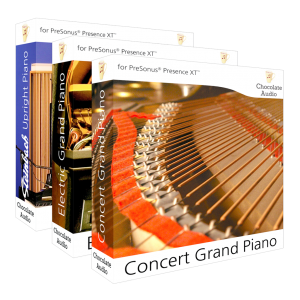 This special-priced bundle contains all three Chocolate Audio pianos: • Concert Grand • Steinbach Upright • Electric Grand • Please see the individual product description of each title for more details and technical specification. A recreation of a world-class concert grand piano sound as found in a Steinway D274 grand coda. 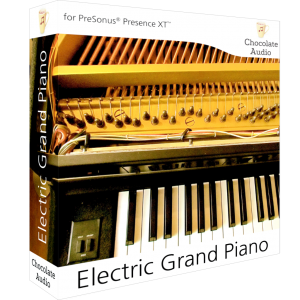 A top-notch rendition of a famous Japanese electric grand piano. At that time it was dubbed as compact, which actually was when compared to the weight and size of an acoustic piano. 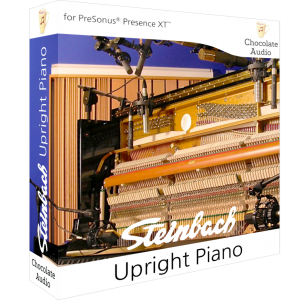 A high quality italian-made upright piano sampled in full detail. 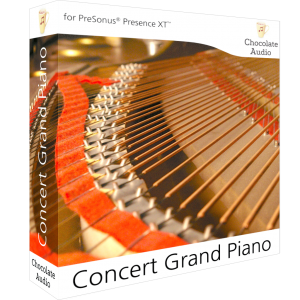 The recording techniques used make this piano fit for many different uses, from classical to pop, country, rock and beyond.